We get advice from the professionals on how to make your account stand out. This is also one of the exciting aspects of being a street photographer. Everything happens around you. LIFESTYLE NEWS - Instagram is a great place for each and every one of us to express ourselves artistically, but sometimes it can be difficult to get your account to stand out amongst all the others. We spoke to three professional photographers to get these ten simple tips for improving your game on Instagram and hopefully increasing your following. 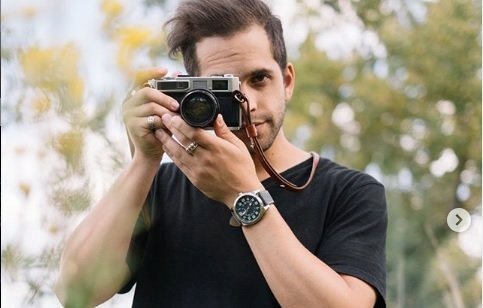 Deen Schroeder is a Johannesburg-based photographer and traveller whose main inspiration is creating content for the more than 10,000 followers on his Instagram account while building and interacting with the online community. Whether you are shooting with the cheapest camera phone or the most expensive professional camera, light is the most important thing to understand. The mastery of light is not something that you can learn in a textbook. You need to get out there and see what happens during Golden Hour (1 hour after sunrise and 1 hour before sunset), and Blue Hour (1 hour before sunrise and 1 hour after sunset), and to notice how the harsh shadows at midday can make for dramatic high contrast scenes or the way overcast days don’t cast shadows and are perfect for black and white portraiture. Study light, play with light and learn how to master light. Even the best creatives in the world inevitably end up in a rut, but learning to get out of those ruts is key to building a strong Instagram account with regularly updated content. I find that curating my Instagram feed will either irritate or inspire me, and I will regularly change things up to ensure that I am not consuming the same old same old boring content. I also seek out inspiration in other forms like photography books, shooting 35mm film, speaking to creatives in different fields, and seeking out new challenges. Find ways to stay inspired before you get stuck in a rut. Though this is true, I believe that if you are taking your photography seriously you would want to make sure that camera you have with you is your best one. That said, don’t let yourself fall into GAS (Gear Acquisition Syndrome). It is an endless spiral that will destroy your bank balance if you let it. There is no need to buy the very best of the best, the newest and shiniest, or the most expensive. I have had my setup for about four years now. I have a Fuji XT 10 with a 35mm lens and the kit lens. Every photographer only needs one camera body, a wide lens, a portrait lens, and a tele-focal lens. The real trick is in deciding which to use at any given moment. Find the tools you love using, don’t buy everything. Jo Spies is a professional photographer in the advertising industry whose main focus is on portraits and profile shots. His Instagram account is, therefore, an important marketing tool for his business. This is a big no-no. Because of the volume of content being created on a daily basis, you have one or two seconds to get viewers’ attention. When I see a photograph of you and Brad Pitt, I am going to look at it, like it, and if it’s really good, perhaps pause to enjoy it. If I then continue scrolling down, and find another photo with Brad, and another, and another, well then okay, I get it, you are cooler than me. You had lunch with Brad and are ready to have his babies and now I am irritated. Don’t flood the feed with ten photos of the same thing, rather go out and create one amazing image, and post that. Don’t think your followers are stupid! Stop being fake. You don’t look like that and your following knows it. You want to create a following where each person knows you, and genuinely wants to see your daily posts. You won’t get genuine interactions if you, yourself, are fake. In order to gain their respect, be true to yourself. We all suffer from “sheep syndrome”. When there is a sunset, we all tend to look in the direction of the sun itself, but more often than not, that sunset is creating beautiful lighting right behind you. Don’t just assume you know where the shot is, have a look around and try to find it. Often we are shooting subjects cause of what is going on in the background and we neglect the subjects themselves, whether they be ourselves or other people. Just by turning yourself slightly you might be able to get more light on the subject’s face and this will immediately make your image stand out more. If you need to face in a specific direction turn your flash on, stand nice and close to your subject (for the flash to have an effect) and try to use the flash as a fill light. Think of the light on your subject. Lee De Haas is a professional photographer whose focus is on street and documentary photography. His Instagram account is a reflection of the time he spends out on the streets of Johannesburg actively documenting everyday happenings in a unique way. Finding photos is something that takes practice, but there are two main techniques for getting the ideal shot. The first is to go fishing, which is where you go to an area that you like the general look of and wait. You are there looking for someone or something to enter the already interesting scene that compliments what it is you like about that space. The second technique is the flipped version of the first one, where you find the subject of your photo first. You then need to follow that subject until they are in the perfect place to get the most benefit from their unique look. Look for juxtapositions. These are people, places or things that are placed close to other things such that they cause a contrast. Light with dark, large with small. Ideally, you are looking for these contrasts in things that people don’t see every day – a person out of their time, or place, or something which doesn’t seem to fit, or belong, in the current surroundings. These juxtapositions make for interesting photos and catch the eye. Moments of extreme emotion or emotional impact make for great photographs. A good photographer needs to be on their toes looking for these occasions as often they are extremely fleeting. This is also one of the exciting aspects of being a street photographer. Everything happens around you. You have one moment to use everything available to you and if you miss it, or you see the moment after it’s happened, unfortunately, there are no second chances.